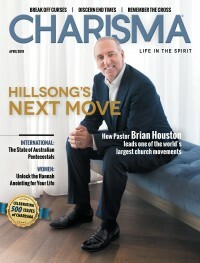 This article was featured in the April 2019 issue of Charisma. What Is the Holy Spirit Doing Down Under? Many around the world—and even many in Australia—were shocked when Scott Morrison became Australia's first Pentecostal prime minister in 2018. Australia is a land that has been, at times, openly hostile to the gospel message and one of the world's least religious countries. But it is also a land that has birthed some of the greatest Pentecostal ministries of the last century. According to pastors there, these dual truths make ministry in Australia both a unique challenge and a ripe field for ministry. Some, like evangelist Ben Fitzgerald, hail Morrison's election as a "really big miracle." Others, like Planetshakers Church senior pastor Russell Evans, say it's too early to gauge Morrison's impact, but it's nice to be represented. "It's like when someone [you went to school with] becomes a prominent person," Evans says. "...That's part of the feeling: 'Oh wow, [Morrison] goes to a church in Sydney that is Pentecostal, and that's cool. He comes from a church we are like.' I think that's what's great. He has Christian values. We've had previous prime ministers who have had Christian values, and in a very secular society, I think it's good to have a leader who has Christian values. Whether they come from a Pentecostal church or a mainline church, they understand that the church is an important part of the fabric of society." Morrison's election could signal that Australians may be more open than ever to a Spirit-filled message. Pastors would welcome that change. The 1966 census found that 88 percent of Australians identified as Christian. In 2016, that number plummeted to 52 percent. McCrindle Research found that only 8 percent of Australians attend church at least once per month, and Australians had net negative opinions of the terms "fundamentalist Christian," "evangelical Christian" and even "born-again Christian." But Phil Pringle, pastor and founder of C3 Church Global, believes there's reason for optimism. In fact, he believes a fresh move of God is about to the hit the land Down Under. "I do think that there's definitely a brand-new day of hunger and thirst for the moving of the Holy Spirit," Pringle says. "I think when God puts a hunger and a thirst in people, it guarantees you that there's going to be a great outpouring. And I think there will be a great outpouring of the Holy Spirit. I think when that happens, we just need to keep it authentic." Pringle draws comparisons between himself and Hillsong Church Pastor Brian Houston. Both men originally come from nearby areas in New Zealand, growing up just 50 miles apart. Both men came to Australia out of a move of God taking place in New Zealand. And both men founded churches in Sydney that grew to become international megachurches. But Pringle says their stories are the exceptions, not the norm, in Australia. "It would be a mistake to think that because of what we have seen that it's easy to plant churches and get church growth going in Australia," Pringle says. "But I think that's an advantage too, because the line is quite clear [between] what is a born-again, Spirit-filled Christian and what is not. It's not like there are a lot of quasi-Christian people sitting in church every weekend. The line between secular and sacred is reasonably clear." Pringle says Australia is "not an open country by any means to the gospel." And he says the country—already listed by The Telegraph as the 12th-least religious country in the world—is only growing more secular. That affects even little details most Americans wouldn't consider, like the fact that Easter is not considered by the average Australian to be a churchgoing holiday: "On Easter people don't go to church as much as they go on vacation." Evans says Australia is not entirely dissimilar to other Western countries—and he even expects similar trends to hit America in 20 years. But it's not the same. "The hidden differences between Australia and America is America is Christianized," Evans says. "So the big challenge with America is getting the next generation to have an encounter with God, because the church has become so Christianized. Whereas when you're dealing with unchurched people, you've got to think of how you reach unchurched people, so it's a little bit different." As a result, there are stigmas in Australia surrounding going to church, especially among young people. "Churches that are contemporary but also have power and presence are attractive, because people come in and say, 'Oh, I didn't realize church was like this,'" Evans says. "Then they experience the presence of God." But Evans cautions fellow church leaders not to forget the presence of God in the hunt to become relevant. "I think one of the challenges for the Spirit-filled church in Australia is we've got to be careful we don't become so contemporary-based that we forget to pray, and we forget to have encounters with God," Evans says. "...We've become really slick at doing church. But I always say to our church: 'You'll forget my sermon, and you'll forget the songs. But when God touches you, you won't forget that.'" Pringle says Australia's unchurched population has spurred C3 members to seriously pursue evangelism: "We have to take a pretty aggressive church planting, outreaching mindset to reach Australians." Another benefit of Australia's secular society has been less denominational division. Evans notes that because only eight percent of Australians go to church—and Australia has fewer people than Texas, spread across land the size of the U.S.—churches are more inclined to work together than fight over the few believers. "One of the unique things about Australia, historically, is we generally work together because it's so small," Evans says. "In culture, there's always some division, but generally we're focused on the main thing, and that is Jesus and His presence." Evans says Planetshakers' approach has yielded plenty of fruit. The original Melbourne church has nearly 17,000 members, and he says every week nearly 250 people get saved—and he's counted nearly 70,000 decisions for Christ during the lifetime of his church. Members represent over 150 different nationalities, and another 150,000 people worldwide stream Sunday services online. Likewise, Pringle's C3 Church has planted hundreds of churches around the world, with weekly global attendance at those churches totaling 112,000. Parachurch movements have been similarly successful. In November 2018, a three-day conference in Melbourne called Awakening Australia united Pringle, Fitzgerald, Darlene Zschech, Nick Vujicic and even Bill Johnson and Heidi Baker. "We felt like God was calling us back to do this," Fitzgerald says. "It's the largest ecumenical event in the last 30 years in our country, and it's just amazing what's happening. ... It's such grassroots unity, similar to what's happening in Europe." Pringle believes that a move of God is coming to Australia. "Right now, there is a distinct hunger and thirst in people for a great move of the Holy Spirit," Pringle says. "At most conferences or events I speak at, people want that time more than the teaching. I think people feel like, 'Let's have a fresh move of God. Let's extend meetings rather than shortening church services. Let's linger and spend time seeking God, soaking in the presence of God.' For me, that's a very heartening sign, because that's the foundation of everything we do. There is a great new move of the Spirit [in Australia] like we've seen in various places around the world. I think it argues for a great new wave of churches, of salvation, of supernatural phenomena and of God to start touching nations." Evans says one of the keys to catching this wave is rekindling a love for prayer—something he sees as alive and well in many South American, Asian and African churches but is often treated as a secondary cause in the West. "There's great revival happening in Asia," Evans says. "Prayer is a very fundamental part of that church. Same with Africa. The biggest churches in the world are in South America and Asia and Africa, and I go, 'That's interesting. Why is that?' And as I begin to peel off the skin of that thought, I see this trend that prayer is a massive part of what they do. ... The church was birthed in a prayer meeting. In the book of Acts, they were praying. And so I always say to people, 'What are you doing in your prayer life?' Because if I were the devil, I would get the church not to pray." So while charismatic churches are certainly excited to see a Pentecostal prime minister, Pringle ultimately believes supernatural encounter, rather than politics or dead religion, is what will truly move and change the hearts of the Australian people. "When we just carry on doing our religious thing, we can go around and around in circles, doomed to death," Pringle says. "But the Spirit of God is a river, and so He's always moving and He's always moving forward. For us to get unstuck from our traditions and be able to move with Him will enable us to experience a great outpouring and a great moving of the Spirit. I think any church that is open to the Holy Spirit in this hour is going to find themselves extraordinarily blessed." Taylor Berglund is the associate editor of Charisma magazine and host of several podcasts on the Charisma Podcast Network.